While famed Sunset Strip music venues like the Key Club have morphed into nightclubs or have closed their doors to make way for big mixed-use complexes (House of Blues), rock is far from dead in Los Angeles. 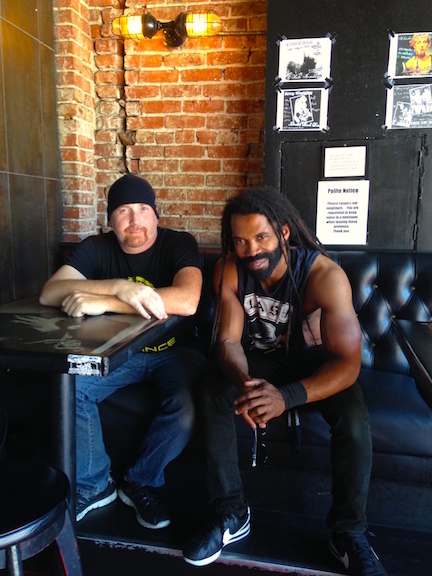 There is still a need for dark rock clubs where Angelenos can grab a few beers while checking out up-and-coming, as well as nationally touring, acts. L.A. rockers 3 By Design share such a place that has become their rock haven, Loaded Hollywood. I immediately see why Kevin, Jon, bassist Frank Mullis and drummer Kent Dimmel are so fond of the place. 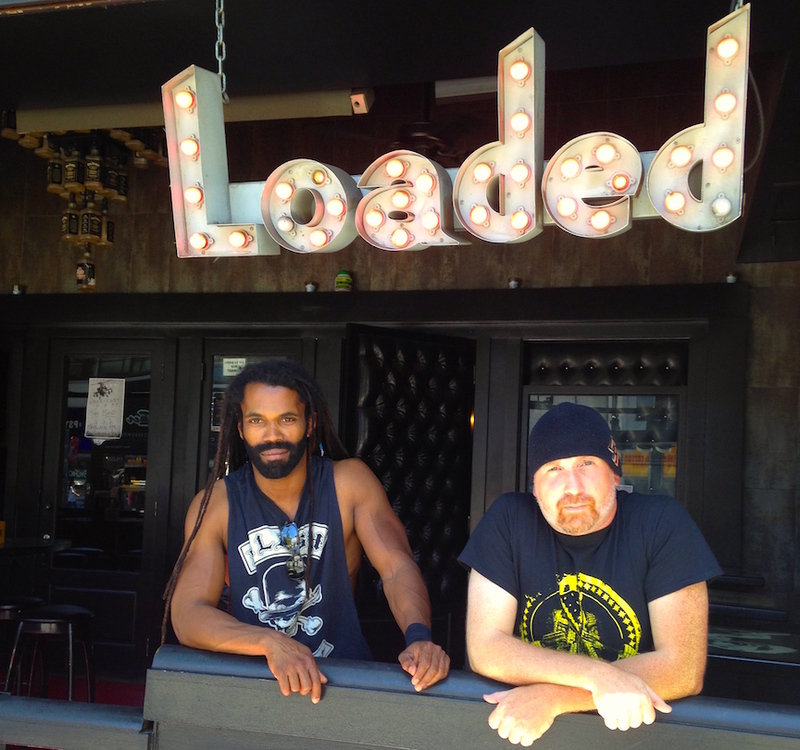 Once you step onto the front patio from Hollywood Boulevard, you realize that the spirit of rock ’n’ roll is alive at Loaded. Tables are covered in images of icons like Gene Simmons, Billy Idol, Johnny Cash, Henry Rollins and even a tatted-up Marilyn Monroe. A wall of stacked amps serves as an apt backdrop for Loaded’s long wooden bar, as a slew of gorgeous ladies peers at you from the venue’s black-and-white wallpaper. It’s the ideal place to have a Jack and Coke and one of their juicy burgers while watching interesting characters pass by before watching a band perform in the performance space located right next to the bar. Kevin orders some beers, and we have a seat on the patio with Frank to talk more about the city and 3 By Design’s past, present and future. They just released their second EP, Enemy, in July and were named Krave Radio’s Band of the Month. When we discuss the band’s beginnings, we discover that the year 2000 quite a pivotal one for both of 3 By Design’s founding members. Frank had a musical epiphany of his own in October 2000. Born and raised in Southern California, Frank’s schoolmates in Rosemead listened to Korn and Marilyn Manson, his buddies were all into Iron Maiden and Metallica and, while he liked all of those bands, his own preferences were a little different. After jamming with different friends over the years, Frank and his friends started a band and played shows at places like Hogue Barmichael’s and Chain Reaction in Orange County. Meanwhile, Kevin was growing up just outside of D.C. surrounded by a new wave of punk rock. Kevin and Frank eventually met in 2008 when they ended up working at the same Best Buy. The duo joined forces on several projects and eventually formed 3 By Design in 2014. They began playing with one drummer, but when that didn’t work out, they jumped on BandMix and found Kent. Now that they had found a drummer, they just had to pin down the right singer. The foursome started getting into the rhythm of writing with each other, resulting in the release of their debut EP, Under the Surface, in 2015. “For years, some of those songs were a couple of years old,” chimes in Frank. “Jon was able to just step in and write,” continues Kevin. Jon is also responsible for the beautiful art that adorns both EP covers. Having connected with artists like Brown and Garrity, as well as other bands at places like Loaded Hollywood, is actually the thing they love most about Los Angeles. 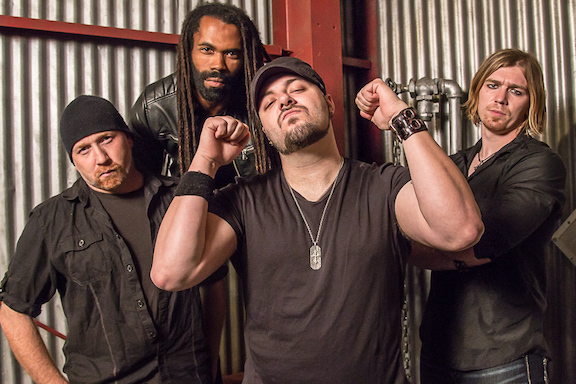 3 By Design has toured the country, but there’s a common question that seems to follow them wherever they are when it comes to their band name. Enemy is currently available. 3 By Design performs Aug. 6 at the O.C. Fair in Costa Mesa and Aug. 16 at the Troubadour. For more information, visit 3bydesign.net.